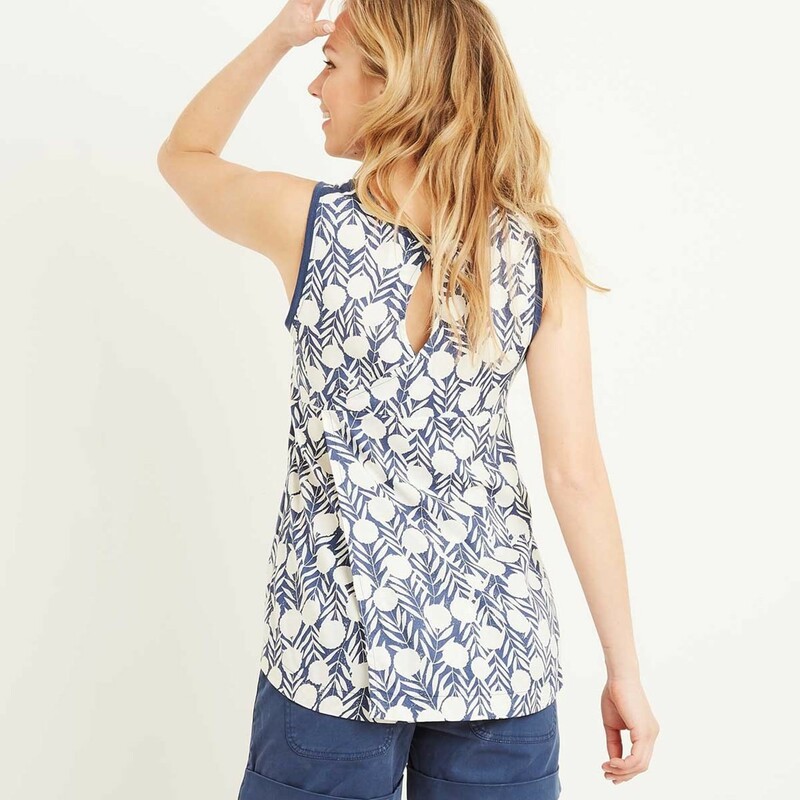 Our Georgie stripe vest top is bound to catch the eye this season, not least because it includes one of our beautiful new print designs on the back. All of our print patterns are designed in-house, are exclusive to Weird Fish and are featured throughout a selection of our women’s wear this season. 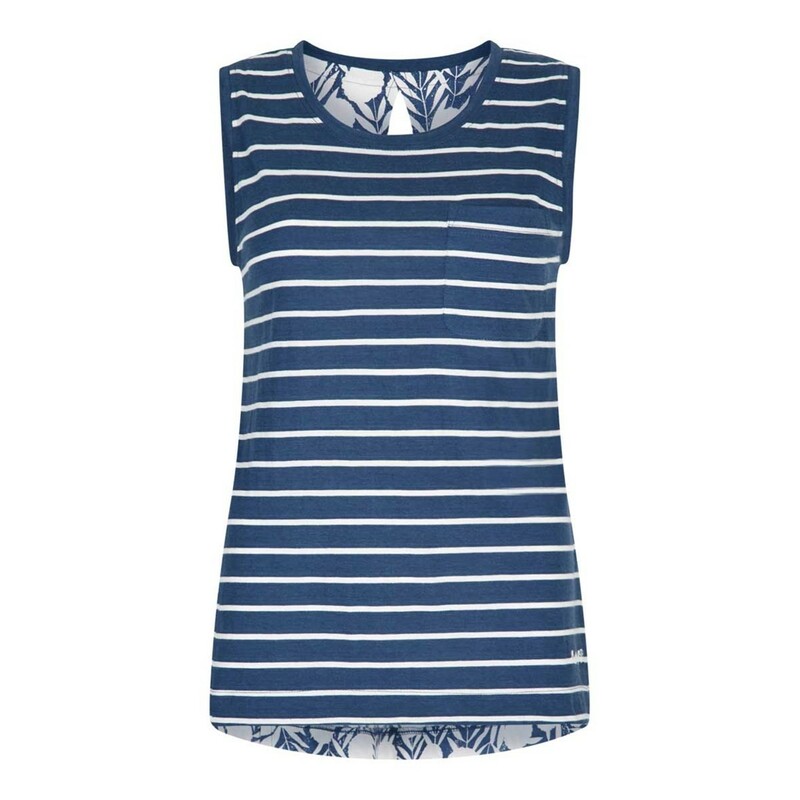 Our quirky stripe vest top is a great piece for this season and looks great with our Ottawa shorts. Whether you’ve escaped for the weekend and are spending time at the coast or are simply picnicking in the park with friends do so in the cool, lightweight Georgie vest top. Easy to wear for a day on the beach or out for a casual evening. Lovely quality cotton top. Good fit and looks great on. 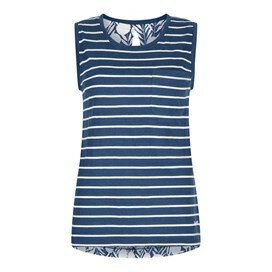 Good quality top looks good with shorts can get into a smaller size than usually purchase Great colour.